Recently, we announced a strategic partnership with Nutanix to help remove friction from hybrid cloud deployments for enterprises. You can find the announcement blog post here. The vast majority of organizations have a portfolio of applications with varying needs. In some cases, data sovereignty and compliance requirements force a jurisdictional deployment model where an application and its data must reside in an on-premises environment or within a country’s boundaries. Alternatively, mobile and IoT applications are characterized with unpredictable consumption models that make the on-demand, pay-as-you-go cloud model the best deployment target for these applications. Containers provide an immutable and highly portable infrastructure that enables developers to predictably deploy apps across any environment where the container runtime engine can run. This makes it possible to run the same containerized application on bare metal, private cloud or public cloud. However, as developers move towards microservice architectures, they must solve a new set of challenges such as scaling, rolling updates, discovery, logging, monitoring and networking connectivity. Google’s experience running our own container-based internal systems inspired us to create Kubernetes, and Google Container Engine, an open source and Google Cloud managed platform for running containerized applications across a pool of compute resources. Kubernetes abstracts away the underlying infrastructure, and provides a consistent experience for running containerized applications. Kubernetes introduces the concept of a declarative deployment model. In this model, an ops person supplies a template that describes how the application should run, and Kubernetes ensures the application’s actual state is always equal to the desired state. Kubernetes also manages container scheduling, scaling, health, lifecycle, load balancing, data persistence, logging and monitoring. In a first phase, the Google Cloud-Nutanix partnership focuses on easing hybrid operations using Nutanix Calm as a single control plane for workload management across both on-premises Nutanix and GCP environments, using Kubernetes as the container management layer across the two. 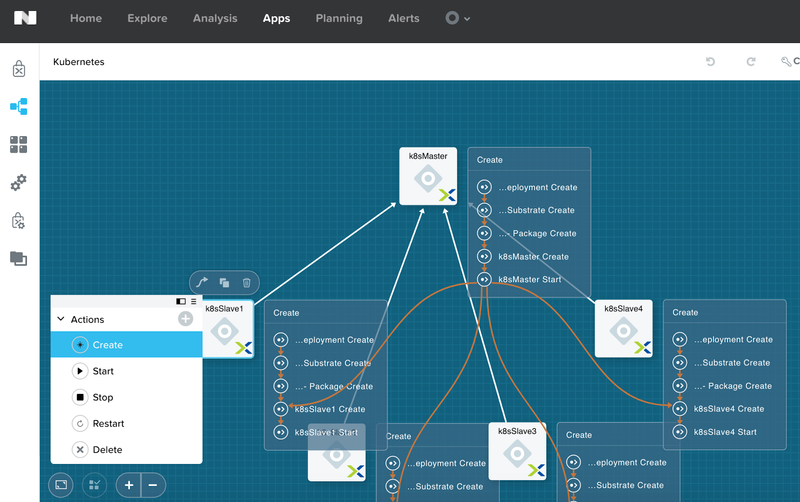 Nutanix Calm was recently announced at Nutanix .NEXT conference and once publicly available, will be used to automate provisioning and lifecycle operations across hybrid cloud deployments. Nutanix Enterprise Cloud OS supports a hybrid Kubernetes environment running on Google Compute Engine in the cloud and a Kubernetes cluster on Nutanix on-premises. Through this, customers can deploy portable application blueprints that run on both an on-premises Nutanix environment as well as in GCP. Let’s walk through the steps involved in setting up a hybrid environment using Nutanix and GCP. You can use Nutanix Calm to provision a Kubernetes cluster on premise, and Nutanix Prism, an infrastructure management solution for virtualized data centers, to bootstrap a cluster of virtualized compute and storage. This results in a Nutanix managed pool of compute and storage that’s now ready to be orchestrated by Nutanix Calm, for one-click deployment of popular commercial and open source packages. The tools used to deploy the Nutanix and Google hybrid cloud stacks. You can then select the Kubernetes blueprint to target the Nutanix on-premise environment. The Calm Kubernetes blueprint pictured below configures a four-node Kubernetes cluster that includes all the base software on all the nodes and the master. We’ve also customized our Kubernetes blueprint to configure Helm Tiller on the cluster, so you can use Helm to deploy a WordPress chart. Calm blueprints also allow you to create workflows so that configuration tasks can take place in a specified order, as shown below with the “create” action. You’re now ready to deploy workloads across the hybrid environment. 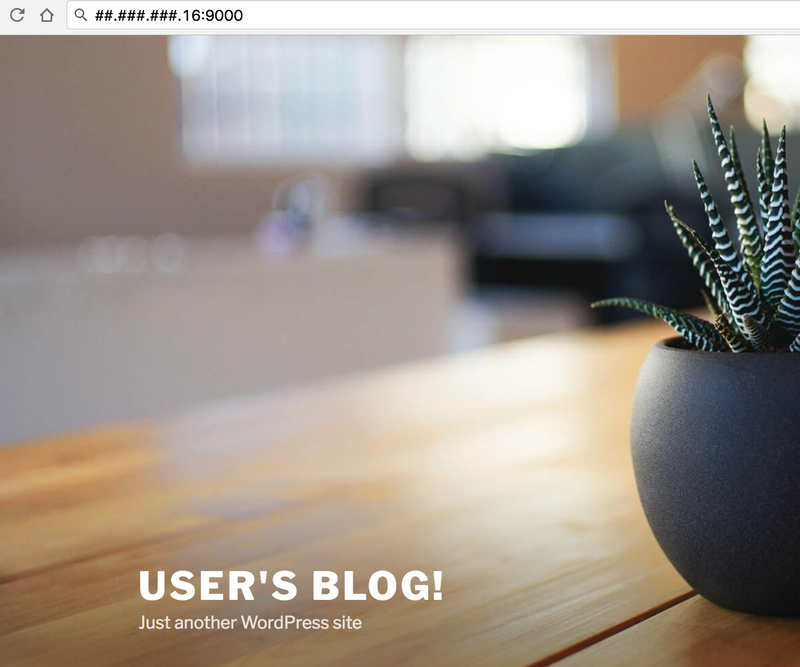 In this example, you’ll deploy a containerized WordPress stack. Kubectl is a command line interface tool that comes with Kubernetes to run commands against Kubernetes clusters. You can now target each Kubernetes cluster across the hybrid environment and use kubectl to run basic commands. First, ssh into your on-premise environment and run a few commands. This example uses Helm, a package manager used to install and manage Kubernetes applications. In this example, the Calm Kubernetes blueprint includes Helm as part of the cluster setup. The on-premise Kubernetes cluster is configured with Nutanix Acropolis, a storage provisioning system, which automatically creates Kubernetes persistent volumes for the WordPress pods. Then, you can run a few kubectl commands to browse the on-premise deployment. This on-premise environment did not have a load balancer provisioned, so we used the cluster IP to browse the WordPress site. The Google Cloud WordPress deployment automatically assigned a load balancer to the WordPress service along with an external IP address. Nutanix Calm provided a one-click consistent deployment model to provision a Kubernetes cluster on both Nutanix Enterprise Cloud and Google Cloud. Once the Kubernetes cluster is running in a hybrid environment, you can use the same tools (Helm, kubectl) to deploy containerized applications targeting the respective environment. This represents a “write once deploy anywhere” model. Google Summer of Code 2017 student applications are open!